This review seems a bit late, but I figured that since they are still selling it, why not post a review? What initially attracted me to this particular product was the fact that the original product I wanted was sold out, so I settled for this little guy… yes, I settled. 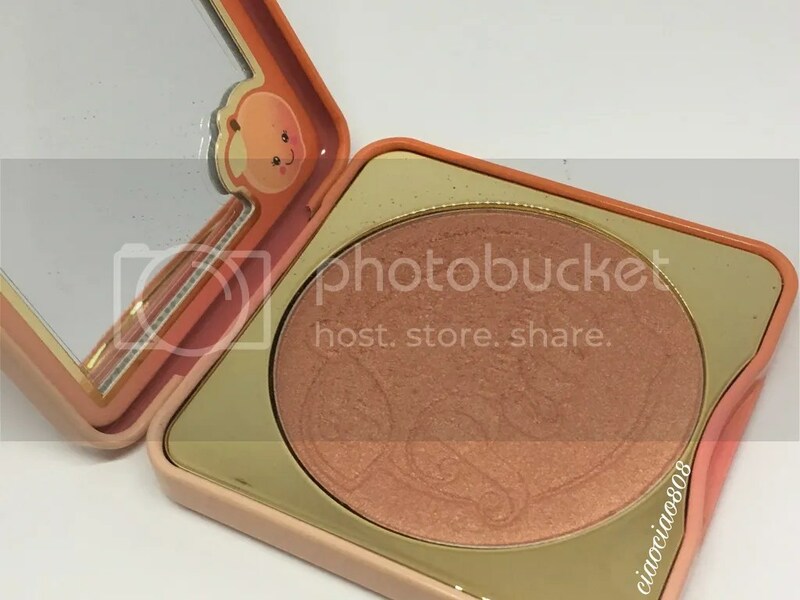 However, I realize that some people may actually be interested in purchasing this blush so here are my thoughts! 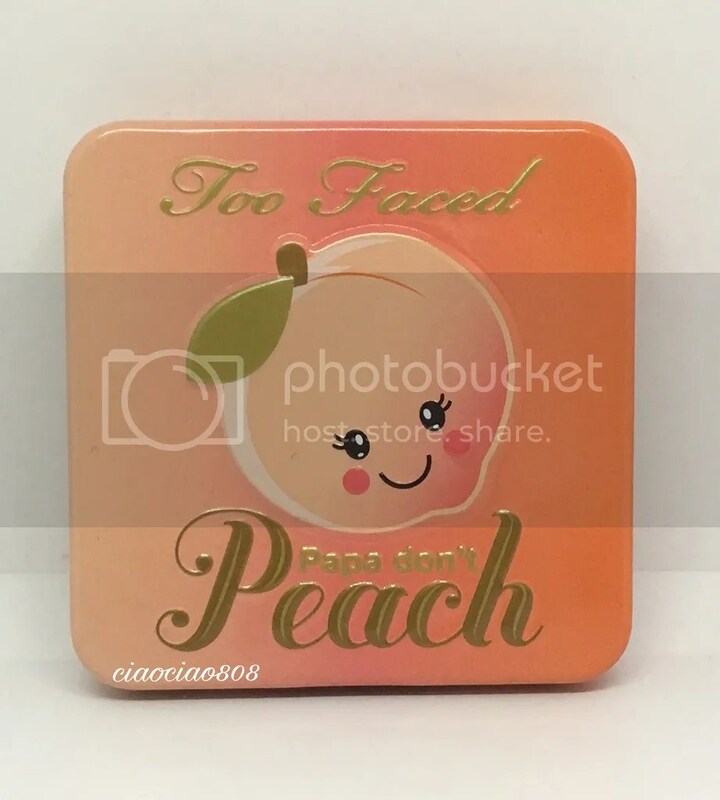 Papa Don’t Peach is a remake from Too Faced. It’s a burnt peach color that has a golden pearlescent sheen to it. On my medium skin-tone it doesn’t really standout. It’s a naturally darker peach color that brings some warmth to my skin. By no means is it a bronzer nor is it extremely orange. I would say that if you have a lighter skin-tone it would come off as a darker coral color and if you have a darker skin-tone, I would say it would appear as golden peachy sheen. To be honest, I would love to see this on a darker skin-tone because I think it would be such a beautiful color on! When I put this on, it adds a lot of warmth without being too heavy. However, I find it a pretty easy to go overboard with this product. The first time I used it, I dabbed my blush brush into the product tapped off an excess and applied it on my cheeks and I felt like I needed a little more, but then I overdid it! I was bummed that I had to go over it with my regular powder brush and I felt like I ruined the finish of the product. I highly suggest using very little and building it up so that way you don’t get rid of the finish. The smell is definitely yummy and almost candy like and by no means do I feel like it affects the product. Sometimes when products have scents, it can affect the formulation where it might not swatch/apply correctly, or it can even affect the pigmentation. I didn’t find that to be an issue with this and I find that Too Faced is really amazing at having products that are deliciously scented and works amazingly! The color lasts me all day and lately I have been wearing it without wearing any bronzer and I really like the overall look of it. I don’t like the fact that I have to constantly be aware of how much I’m picking up on my brush. I love easy blushes, which are blushes that I can continually swirl my brush in and not have to worry about how much product it’s picking up. Every time I use it, I use the gentlest dabs with my brush and tap it about 3 times, tap off the excess and finally apply it to my cheeks. It is soft to the touch, but it’s so soft that my brush leaves a ton of indents and kicks up a lot of the shimmer in the product. Finally, I just don’t think this is a versatile color for every skin-tone. Like I mentioned above, I have a medium skin-tone and I don’t really see it standing out on my cheeks like those with lighter skin-tones. I hope you guys enjoyed this post! Have you tried this blush? What do you think about it? I would say that even though I settled for this product, I do like it and I see myself reaching for it because it’s a great neutral, everyday color for me. If you’re interested in purchasing your own, you can click here. Don’t forget to follow me on Twitter and Instagram @ciaociao808 for more updates! 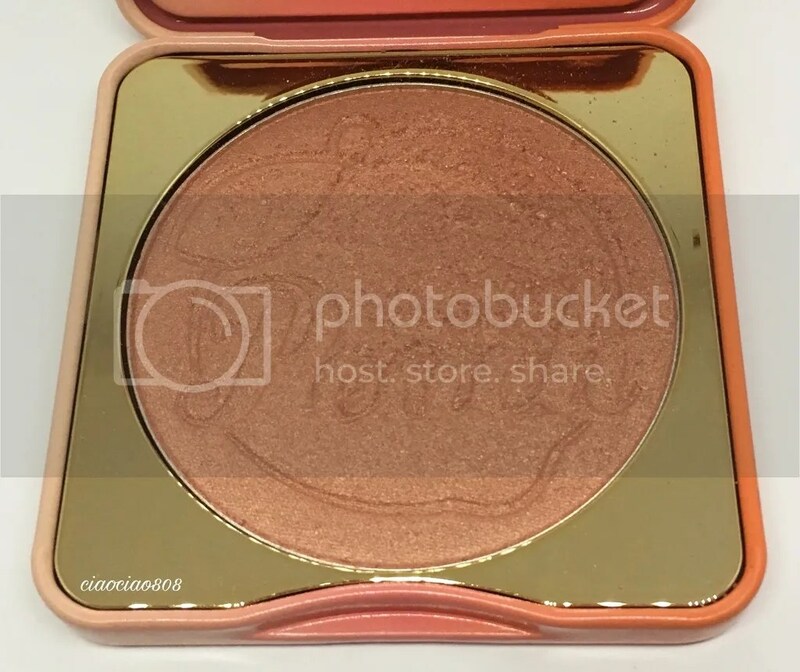 Hopefully by now, I will have gotten my ring light so I can do an express review on this blush on my YouTube channel (youtube.com/msluvly1234).